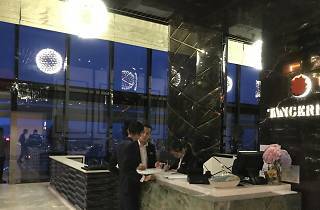 The Face Suites is not a place you think about for a fine dining experience – and up until December last year, you’d be right. 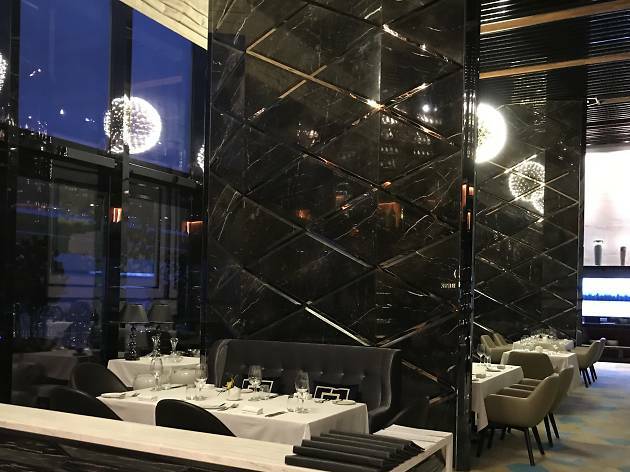 Since then, Tangerine has changed itself from being the hotel’s all-day dining venue to a Euro-centric restaurant that aims to be in the company of Marini’s at 57 and Cantaloupe. 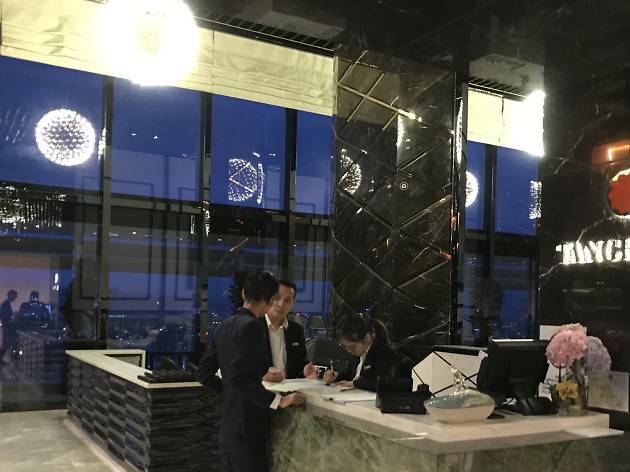 Located on the 51st floor, the restaurant doesn’t hold back in making a grand first impression with high ceilings, white tablecloths and floor-to-ceiling glass panels that make the most of the city skyline. 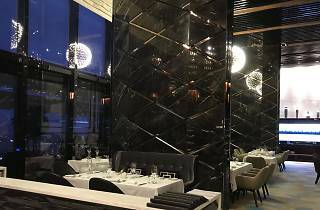 The kitchen is led by Chef Siti Arini, who gained a reputation as a sous-chef at the now-closed Grilled 582, and is now trusted with the task of Tangerine’s debut into the fine dining arena. It’s a trust that is well placed: what she lacks in experience compared to other celebrated chefs, she makes up for it with diligence, spot-on cooking techniques and willingness to take on ideas. 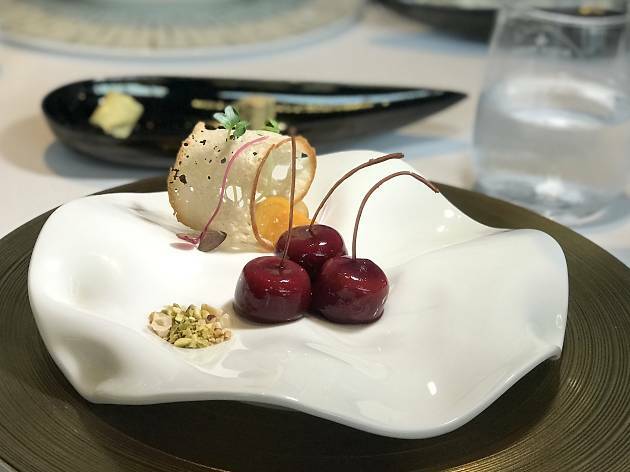 These qualities are shown from the opening dish of our five-course dinner, the Pearl Tomato Compote, which is presented as a reformed sweet cherry tomato served with honey yoghurt cheese and crumbs of nitrogen-frozen olives to give this dish its balanced and bright taste. The next two courses follow a similar pattern of light and clean flavours that focus on the quality of produce used. 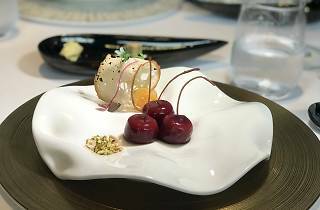 The ‘Foie Gras Cherry’ is her take on Heston Blumenthal’s Meat Fruit, in which velvety foie gras is encased in gooseberry jelly and shaped to look like a cherry. 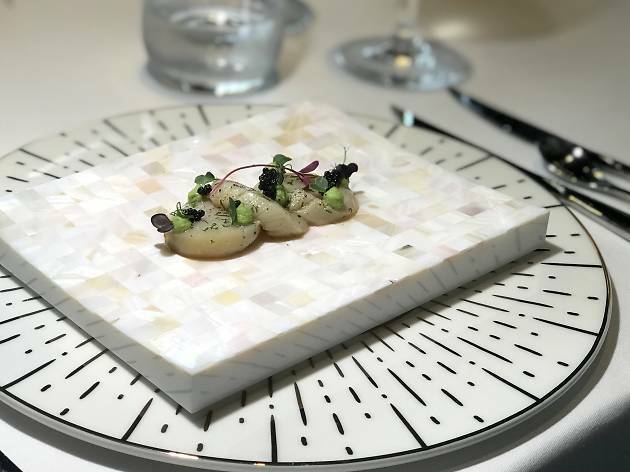 The foie gras within is surprisingly delicate and creamy, making it an ideal prelude to the following course, which is a choice between the cured Hokkaido scallop or Brittany Lobster tartare. 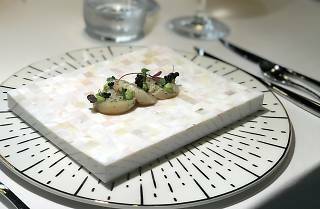 Both are decent choices for a seafood course, with the Hokkaido scallop cooked and served with garden pea mousse and a few pearls of caviar, while the lobster tartare is accompanied by a light brush of crustacean bisque. The fourth course is the highlight of the meal. 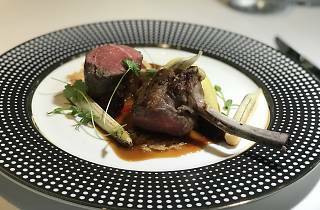 Here, you can choose from five dishes: wild cod, moulard duck, wagyu beef cheek, sous vide Australian lamb loin or wagyu tenderloin (with an additional RM40). We opted for the lamb and wild cod, both of which were served in generous portions. 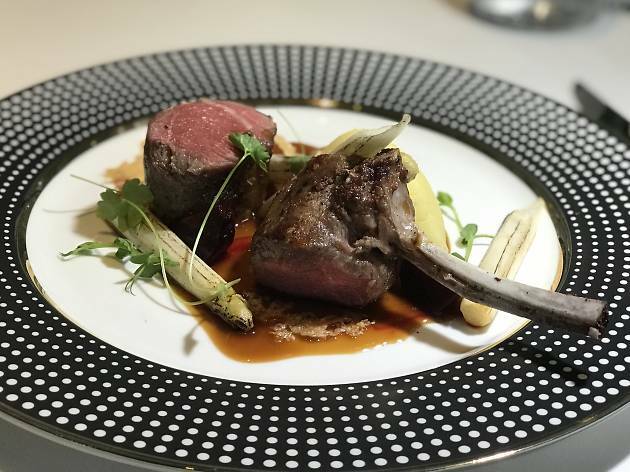 Cooked for six hours under a low 55-degree heat, the lamb loin is as tender as it can be, and complemented by a moreish jus, creamed Russet potatoes and white asparagus. 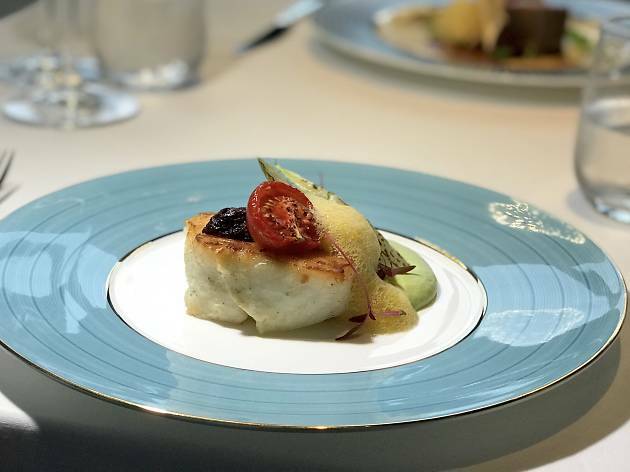 The wild cod served with leek and potato soufflé is an equally accomplished dish, having been precisely cooked to be crispy on the outside, while maintaining its firm and flaky structure. Ending our meal is a goat cheese gelato – a sweet, savoury and well-rounded dessert that carry little resemblance to the intense and robust goat cheese that we’re used to. These are early days yet for Tangerine, which explains why their dinner menus are surprisingly affordable – for now. 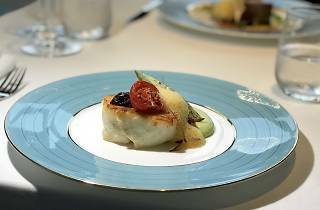 A three-course dinner menu will only set you back RM138 nett, a five-course at RM188 nett, while the seven-course menu is priced at RM288 nett – which is quite a deal considering that Marini’s on 57’s risotto al porcini by itself costs RM178. That alone should entice you enough to try this place out before they revise their menu and prices, which is expected to happen every three or four months.